For Sale in Inverclyde for Offers Over £95,000. Affording an excellent opportunity for the developer/investor market and offers a splendid opportunity to create a bespoke home. This fantastic plot comes with planning to create a full four bedroom detached villa providing a lounge, a dining/family room, kitchen, laundry room, family bathroom and a shower room. 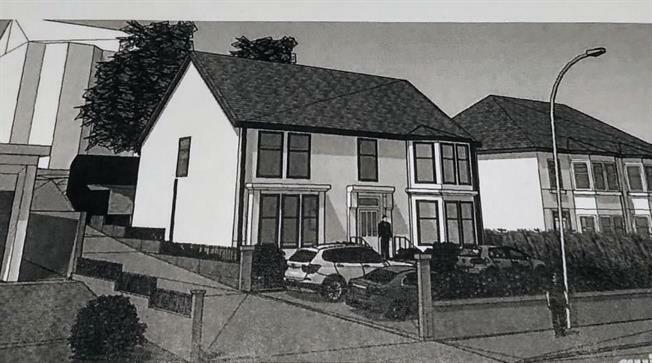 Existing plans are available to view within the Slater Hogg and Howison office in Greenock and also online through Inverclyde Council. The coastal town of Greenock offers exceptional commuter road, rail and ferry transport links as well as local authority and private schooling. In addition there are a variety of social and recreational facilities in the form of several golf courses, sailing clubs, and gyms especially the Waterfront Complex that includes a swimming pool, ice skating and gym.